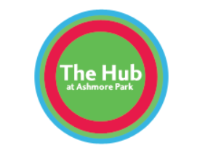 Located at the heart of Ashmore Park, The Hub is home to a Community Centre, Library and Fitness Centre and offers a wide range of facilities to local people. The former Youth Centre building was extensively refurbished in 2013/14 and a new glass extension was built to house Ashmore Park Library. Owned by the City of Wolverhampton Council, the building is managed by volunteers from Ashmore Park Community Association, a registered charity. To find out more information about the services and activities that take place at the Community Centre please visit the website via the link below. You can also find out what events are taking place across all of Wolverhampton's libraries on What's on Wolverhampton. As well as the purpose built Library, The Hub has a cafe, a community hall, 5 multi-purpose meeting rooms, an IT suite, a gym, a sports hall, changing rooms and showers. There is free public wifi throughout and all areas of the the building are wheelchair accessible. We also have a 20 space car park, including 2 disabled bays.